Because nothing is more important than reconnecting our children with nature! At Ireland’s Wildlife we’re committed to making Ireland’s fabulous natural heritage more accessible and engaging for everyone. A crucial part of that ethos is encouraging children to get outdoors and experience nature and wildlife where they live. 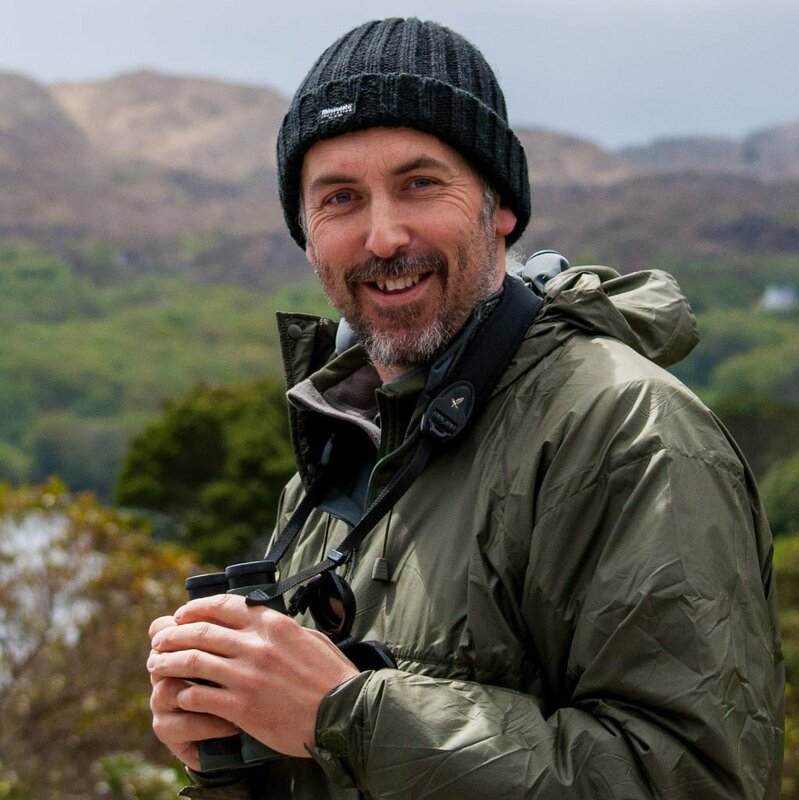 Calvin Jones, Founder and Managing Editor of Ireland’s Wildlife, is a Natural History Heritage Specialist on the wonderful Heritage in Schools scheme. The government-backed scheme is administered by the Heritage Council, and aims to promote Ireland’s natural and cultural heritage by allowing primary schools to tap into the enthusiasm and expertise of a nationwide network of pre-vetted experts. View Calvin’s profile on the Heritage in Schools website. The focus of these school visits is to explore the wonderful world of Irish wildlife in the context of where the children live. We get out of the classroom as much as we can, out into the wilds of the school yard and beyond, giving children the freedom to indulge their innate curiosity and reconnect with nature on their own terms. There’s no substitute for real, hands-on experience of wildlife and nature. A full day Heritage in Schools visit costs your school just €100 (€60 for DEIS schools); the balance of the visit is subsidised by The Heritage Council under the scheme. You simply pay the school portion of the fee on the day of the visit, and the Heritage in Schools scheme takes care of the rest. Book 5 visits, get the fifth one free! As part of the Heritage in Schools scheme the Heritage Council also offers a special “Five-visit-series” package. So if your school books the same Heritage Expert for five visits during the calendar year, the school only pays their portion for four of those visits — the fifth is covered entirely by the Heritage in Schools scheme. The five-visit series is a great choice for tackling more ambitious wildlife related projects spanning a longer time frame. Our school visits are focused primarily in Co. Cork, where we are based… and the Heritage Council encourages specialists to serve local schools. That said inter-county visits can be organised by special arrangement anywhere in Ireland (the school may need to cover additional travel and/or accommodation costs where necessary for visits outside Co. Cork). If you’d like to arrange an inter-county visit simply fill in the booking form below with the relevant details and we can discuss the logistics. Read about my 2014 visit to Desertserges National School in West Cork. Pupils of Desertserges National School enjoying their Discover Wildlife @ School visit. We offer a range of wildlife related activities and presentations for one-off visits that are “ready to go”. For schools booking a 5-visit series we can work with you to create a custom visit programme to suit your requirements, or focus on a particular wildlife-related school project. Biodiversity Bingo: Find out what biodiversity is and why it’s important… then head out to the school yard / nearby wildlife habitat for a spot of Biodiversity Bingo. This is a perfect introduction for schools working on their Green Schools Biodiversity Flag. Other wildlife theme: Calvin offers day visits covering a wide range of wildlife themes including birds, mammals, mini-beasts, whales and dolphins and more… just ask. 5 Visit Series / Custom wildlife project: If you’d like to book a series of visits covering a variety of wildlife themes, or work on a more involved wildlife project in school take advantage of the Heritage in Schools 5-visit series and get the fifth visit free. To book your school visit simply fill in the enquiry form below. Once we get your request we’ll contact you to discuss what you need and to agree a mutually convenient schedule for the visits. You then head over to the Heritage in Schools online booking form to book your visits through their system.